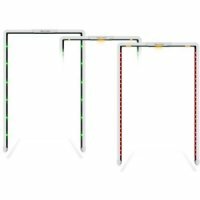 Ferromagnetic Detection Systems are a highly important part of your MRI environment. 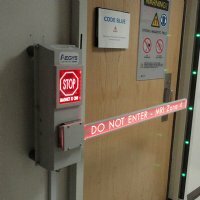 These systems allow you to detect any magnetic object just by walking through it. If anything passes through that is read magnetic, an alarm will sound and a certain color of lights will display. The specific color will show if it is completely magnetic, ferromagnetic, or non-magnetic. If you have any questions on our ferromagnetic detection systems please contact our friendly customer service. We will be happy to assist you. 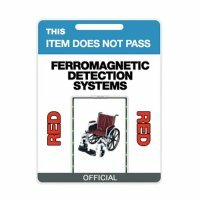 FerrAlert ferromagnetic detectors are the most accurate detection systems providing reliable detection and prevention of ferromagnetic threats from entering the Zone IV MRI room. 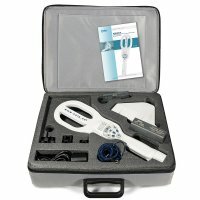 TechGate with LED arm or Telescoping arm kit includes standard mounting plate, installation hardware, and standard power cord. 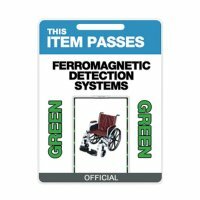 Vinyl Tag "This Item Passes Ferromagnetic Detection Systems"
Vinyl Tag "This Item Does Not Pass Ferromagnetic Detection Systems"
Rigid Plastic Tag "This Item Passes Ferromagnetic Detection Systems"
Rigid Plastic Tag "This Item Does Not Pass Ferromagnetic Detection Systems"